If you’ve arrived here from Rory Kinnear’s kind words in the Times, hello. 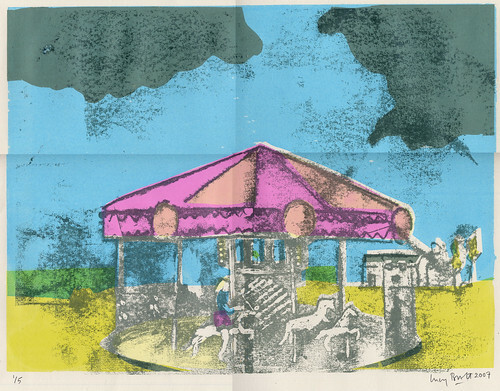 The pieces mentioned are this screenprint of the ice cream van and this wood engraving of a supermarket car park. You can see my other work by browsing through the categories on the left. If you are interested in any of the pieces, here are my contact details; I also take commissions for work for children as mentioned in the article. My work will be on on show at the Rostra and Rooksmoor Gallery in Bath from 3 – 24 June 2009 as part of their Contemporary Printmakers IV exhibition.Â I am showing etchings, etchings on plaster, screenprints and a woodcut. 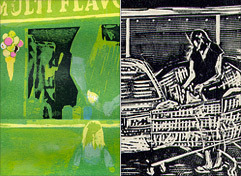 Two of my screenprints have been selected for this new biennial competition and printmaking exhibition for works that are exactly one foot square at the Centre for Contemporary Printmaking, Norwalk, Connecticut, USA from 27 March – 24 May 2008. 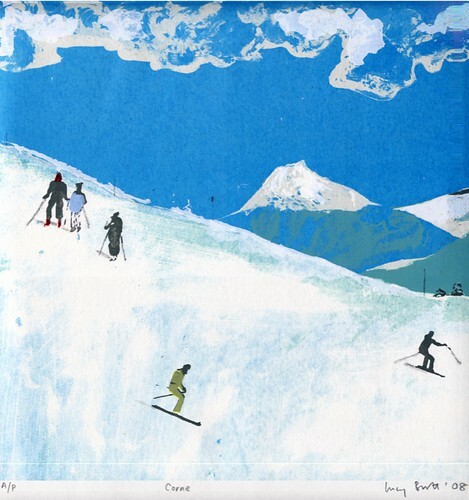 30.5 x 30.5cm, Screenprint, 2008. 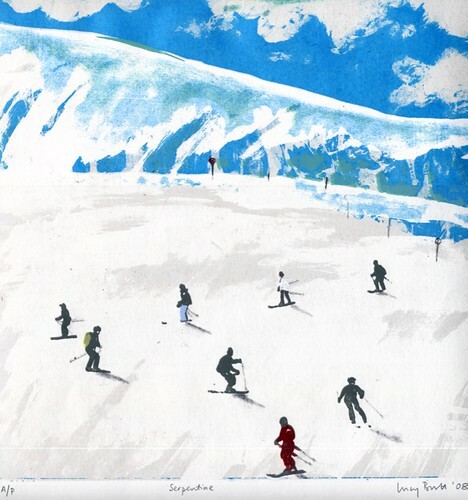 29 x 38cm, Screenprint, Edition of 5, 2007. 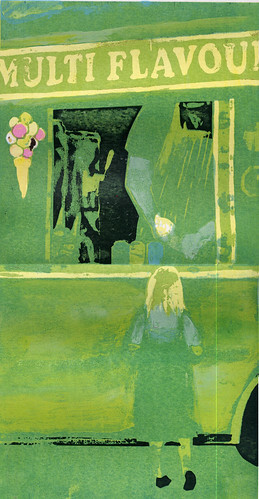 37.5 x 19.5cm, Screenprint and monotype, 2007.